Throughout the centuries, the art and literature of Christianity have treated Judas as harshly as Satan does in the Inferno. Judas is the betrayer of Christ, the archetype of all traitors, and often an anti-Semitic stereotype. Thus the Western world felt a sizable shock when a once-lost text known as the Gospel of Judas was published in April 2006, portraying the Twelfth Apostle in a radically different light. Scholars had long known there was a Gospel of Judas, because the ancient heresy-hunter Irenaeus of Lyon mentions it in a work dating to around 180 CE. But practically nothing was known of the gospel’s contents. The story of this text’s discovery reads like a thriller. The Gospel of Judasappears in an ancient codex (that is, a book bound like a modern book, as opposed to scrolls, the other common form of ancient manuscript.) Written in Coptic, a language descended from ancient Egyptian, the manuscript dates to the third or fourth centuries CE. Finally, in April 2000, the codex was acquired by Frieda Nussberger-Tchacos, an antiquities dealer in Zurich, at an undisclosed price probably around US$300,000. Since then, the codex has been restored, published, and translated by a team organised by the Maecenas Foundation in Switzerland and the National Geographic Society in the US. The Codex Tchacos, as it is now called, actually contains four different scriptures. Two versions of apocryphal texts known as the Letter of Peter to Philip and the First Revelation of James, had already been known from the Nag Hammadi scriptures, a famous collection of Coptic texts discovered in 1945. The third book in the Codex Tchacos has provisionally been entitled the Book of Allogenes (“Allogenes,” roughly translated, means “stranger”). But by far the most interesting is theGospel of Judas. Scholars are not sure whether Irenaeus had actually read the Gospel of Judas or simply knew it by hearsay, but his description strongly resembles the text we have. And it is this “mystery of the betrayal” that constitutes the most compelling part of this enigmatic work. Even from this brief description, it’s clear that we are dealing with a strange inversion of orthodox Christian belief. The disciples worship their god ignorantly; Judas is the only pupil of Jesus who understands his purpose; and the great betrayal seems to be part of this purpose. Who, then, was the inferior God? For the Gnostics, it was the god of the Old Testament. They believed this was not the true God, but a second-rate deity who had forgotten his own source and arrogated first place to himself. Another Gnostic text, the Apocryphon of John, says of this figure, “He is impious in his madness which is in him. For he said, ‘I am God and there is no other God beside me,’ for he is ignorant of his strength, the place from which he had come.” The Gnostics had many names for this second-rate god. The Apocryphon of John calls him Ialdabaoth (probably derived from Hebrew roots meaning “child of chaos”). He was also known as the Demiurge, from the Greekdemiourgos, or “craftsman.” The Demiurge was the “craftsman” who made this world of pain and suffering, and, incidentally, was also the one who gave the Law to the Israelites on Sinai. This idea casts a great deal of light on the strange inversion that we see in much of Gnosticism. The evil figures in the Bible are not really evil at all; they are simply opposed to the Demiurge, while the “good” figures are dupes of this malignant deity. Similarly, for some Gnostics the serpent in the Garden of Eden was not a devil, but an emissary of the true, good God, who sought to liberate the divine spirit in Adam and Eve through knowledge. In the Gospel of Judas too, Jesus regards it as a favour that Judas will, by his betrayal, “free him from the man” – that is, the body – that envelops him. These ideas cut so strongly against conventional theology that one may wonder how they arose. They seem to come from several sources. The first is the Greek philosopher Plato, who lived in the fourth century BCE. In his dialogue the Timaeus (also notable for introducing the myth of Atlantis), Plato gives a description of the universe and of its creator, whom he also calls the “Demiurge.” But Plato’s Demiurge is not evil. He is supremely good – so good, in fact, that he cannot create anything with even an admixture of imperfection. For this purpose, he creates the gods, who in turn have fashioned humanity, with its mixture of good and evil, mortal and immortal. Even so, the benevolent Demiurge does not leave this creation entirely to the gods. He inserts an immortal divine spark into humans. This, in essence, is the spirit or true Self in each of us. As we’ve seen, Plato did not see the Demiurge as evil, and his followers sharply criticised the Gnostics for what they considered to be a radical mistake in their theology. Where, then, did this idea of an evil creator come from? The answer to this question is murky. One of the most intriguing answers comes from the Old Testament scholar Margaret Barker, who in a number of highly erudite and well-researched works makes an intricate and ingenious argument. According to Barker, archaeological evidence suggests the ancient Hebrews in the time of the First Temple in Jerusalem (c.940–586 BCE) worshipped a trinity: the Most High God, known as El; Yahweh, the national god of Israel; and Asherah, Yahweh’s female consort. But during the time of Josiah, king of Judah (who reigned from 640 to 609 BCE), a group of priests enacted sweeping changes in the Temple cult. (These changes, which biblical scholars call the “Josianic reforms,” are described in 2 Kings 22:3–23:25.) Asherah was discarded, and Yahweh was decreed to be the same as El. That is, there was now no difference between the national god of Israel and the Most High, the ruler of the universe. It was this reformed faith of the Jerusalem priests that would create the Bible and would form the core of Judaism and Christianity as we know them today. According to Barker, then, from the point of view of the old Hebrew faith Yahweh was a usurper. Originally merely a national god of Israel (every nation was believed to be ruled by a specific god), he had claimed to himself the place of the Most High, much as Ialdabaoth does in theApocryphon of John. Barker goes on to argue the memory of this usurpation was preserved in mystical strains of Judaism that did not accept the Josianic reforms and kept to the old faith. These ideas were handed down in turn to the Gnostics. But it was not just from remnants of ancient Jewish tradition that the Gnostics took their views. They pointed to a remark of Paul’s that the law “was ordained by angels in the hands of a mediator” (Gal. 3:19). For the Gnostics, this meant that the Law on Sinai had not been delivered by the true, good God, but by the Demiurge. This, they said, was why Paul said the Law was a “curse” (Gal. 3:13). And in fact many of the Gnostics claimed the authority of Paul. The greatest of them, a second-century teacher named Valentinus, even said he had received his doctrines from one Theudas, a pupil of Paul’s. Unless one understands the Gnostic theology of two gods, this passage will be baffling. But actually it is fairly clear. Jesus is laughing at the disciples for worshipping the Demiurge, the god of Israel, whom he contemptuously calls “your god.” When they tell Jesus that he is the son of their god, he says they do not know who he is. Only Judas recognises the truth. Many other Gnostic echoes appear in the Gospel of Judas. It goes on at great length about a convoluted hierarchy of “rulers” and “angels” that stand between humanity and the true, good God. While it would be too complicated to explain this hierarchy here, it is interesting to find another echo of Plato, who also has a hierarchy of gods that fashion the physical body of the human race. These gods were often equated with the seven planets known to antiquity; the path of gnosis, or enlightenment, was portrayed as an ascent through these seven levels of impediment. By this means the true Self, the divine spark that is a reflection of the true, good God, is set free. The Gospel of Judas likens this spark to a star. “Each of you has his own star,” Jesus says. Elsewhere in the text he adds, “Lift up your eyes and look at the cloud and the light within it and the stars surrounding it. The star that leads the way is your star.” The planets, by contrast, are only obstructions. For one who has a sense of Gnostic teachings, the contours of the Gospel of Judas are remarkably clear. But there is one thing the text as we have it does not explain – simply because the portion of the text that discusses it is missing. We do not know exactly how Jesus’s betrayal and death fit into the cosmic scheme of salvation. The commentators to the published edition say that “the death of Jesus, with the assistance of Judas, is taken to be the liberation of the spiritual person within.” But the text also makes it clear this act of redemption is not just for Jesus alone; it has cosmic effects. Nevertheless, it is hard to determine from the text as we have it exactly what these effects are, or how it was supposed to work. As we’ve seen, the Gospel of Judas was unknown for perhaps 1,600 years before it was unearthed and published this year. Even so, there are echoes of its teachings in the Western esoteric tradition. In his magnum opus Beelzebub’s Tales to His Grandson, the twentieth century spiritual master G.I. 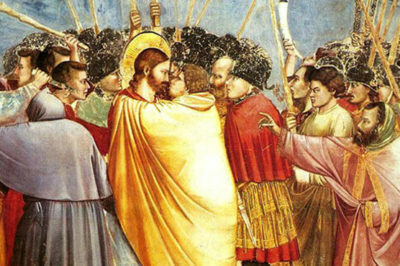 Gurdjieff describes Judas as “the chief, the most reasonable and most devoted of all the beings, directly initiated by this Sacred Individual [Jesus], or as they would say, one of his Apostles.” In Gurdjieff’s book, it is Judas who makes it possible for Jesus to accomplish his mission, though Gurdjieff is rather vague about how. It requires a lower order of creative angels to “create” inhabited globes – especially ours – or to deal with matter on this earthly plane. The philosophical Gnostics were the first to think so, in the historical period, and to invent various systems upon this theory. Therefore in their schemes of Creation, one always finds their Creatorsoccupying a place at the very foot of the ladder of spiritual Being. With them, those who created our earth and its mortals were placed on the very limit of mayavi [illusory] matter, and their followers were taught to think – to the great disgust of the Church Fathers – that for the creation of those wretched races, in a spiritual and moral sense, no high divinity could be made responsible, but only angels of a low hierarchy, to which class they relegated the Jewish God, Jehovah. It is hard to tell where Gurdjieff and Blavatsky got their ideas. Both were cryptic about their sources, but their claims they represented ancient systems of knowledge that have been preserved for thousands of years are reinforced by the new light thrown on ancient religion by the discovery of these ancient texts. What, then, are we to make of all this? Stepping aside as much as possible from sectarian theology, we can see the Gnostics were preoccupied with the human condition, with why we seem to be trapped in a world we did not make. Moreover, this world is so problematic and defective it is tempting to conclude its creator is as well. The answer is not an easy one to reach. The Gnostic view has often been dismissed as gloomy and pessimistic, and it often is. On the other hand, the conventional Christian insistence that God is both all-powerful and all-good is not only unconvincing but flatly contradictory. 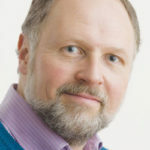 In the end, we are left with a mystery – which is not a mystery about ancient texts or the disciples of Jesus but about the nature of reality itself. 1. “Proto-orthodox” is a term applied to the part of the early Christian movement that would later evolve into the Eastern Orthodox and Catholic churches. At the time we are speaking of, this segment formed only one of many groups who followed Christ’s teaching.